Welcome to Six Generations, the universal pack of 72 cards for different genealogical card games. With our cards you will be involved in nonviolent family games, simulating marriages, touching the bases of reproduction, continuation of dynasty and preserving the family inheritance in the hands of the future generations of your own kin. 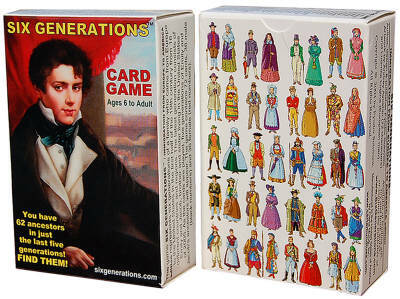 Six Generation, a uniquely developed product with museum quality artwork and genealogically and historically interesting mechanic, is a pleasant example of information coupled with entertainment, challenging the valuation of the card system of “Standard Decks” with Kings, Queens and Jacks. This innovative pack contains a set of 72 cards with pictures of six generations of immigrants belonging to a family who came to the United States from sixteen European nations in the first half of the nineteenth century. The latest generation consists of the siblings Emily and Jacob, currently living in the United States; and the other five generations represent their ancestors. Recommended for ages six to adult, "Six Generations" is a highly engaging concept aimed at providing wholesome entertainment. It would be a welcome addition to any family's personal collection of games. This game also has educational value, as it provides useful clues to the different types of clothing worn by the people from different nations and time periods that are featured on its cards. As a genealogical and historical gift product, "Six Generations" has perfect usage in education, arts, museums, and homes. IN JUST THE LAST FIVE GENERATIONS! Six Generations cards modeled after the structure of a family tree - a man and a woman, two sets of parents, four sets of grandparents, eight sets of great grandparents, and sixteen sets of great-great grandparents. The card deck can be used to play several family-oriented board games. 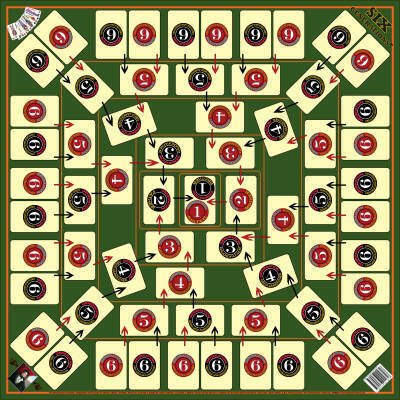 This democratic card deck abolishes the structure of the standard "French Pack" that uses Jacks, Queens, Kings and Aces, and is based on the inventor's idea of creating a deck of playing cards with family members in multiple generations. Each older generation is doubled in the amount of family members, thereby making a set of 63 cards (in six generations), plus 9 cards with characters to make a real game out of the family tree, which comes closest to the standard French Pack while being true to a balanced family tree. The deck is ranking by not using numbers only, from one to six, but additionally, using matching costumes for family couples that are in the different suits. The oldest, sixth generation came to the United States from around Europe, while the different family members have particular names corresponding the country they came from, and the time periods. With this deck, the game players and inventors may also invent new card games. The following card games have been already created: Six Generations, The Heirs, 23, Blind Date, You Must Be 18!, Dynastia, Meet The Ancestors (the variation of The Heirs), and others. You can play different card games with one Six Generations deck of cards, and invent new games too! Six Generations / The Heirs / GenPoker / 23 Card Game / Blind Date / Dynastia / Meet Ancestors / You must be 18! SIX GENERATIONS™ is a registered trademark of Six Generations card games.. Published by Six Generations Publishing, Anchorage, Alaska, USA in 2004. Manufactured in the U.S.A. by Carta Mundi USA. Copyright © 2004-2019 by Fyodor Soloview. All Rights Reserved. are protected by trademark rights, copyrights and other rights owned by Fyodor Soloview. 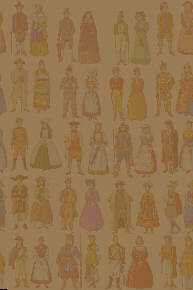 62 ANCESTORS... 6 GENERATIONS ... SEE IF YOU CAN FIND THEM ALL!!! Print updated rules of Six Generations.